The City of Toronto’s Children’s Services, Employment & Social Services and Shelter, Support & Housing Administration divisions have joined forces to launch an integrated website that enables Toronto residents to access information about services and subsidies in one place. The new Human Services website organizes information by topic, eliminating the need for users to navigate for information in various areas of the City’s website. Parkdale artists are invited to submit a request for application to paint one of eight Bell Canada outdoor utility boxes in Parkdale as part of the 2017 Bell Box Murals Project. Murals will be painted May 1 – 8, 2017. Applicants will be sent more details of the submission process. Artists will be chosen based on their connection to the community, experience painting on outdoor surfaces, concept for the mural and a portfolio of past work. The DEADLINE for submitting an application request is 5:00pm, Friday, March 24, 2017. The Parkdale Neighbourhood Murals 2017 are a partnership between The Parkdale Village BIA, the Bell Box Murals Project, and Bell Canada. Paint donated by Benjamin Moore Paint. The City of Toronto is requesting input from residents and other members of the public through an online survey that will help determine how and when the City makes information available in languages other than English. The survey will be available until March 10 at http://www.toronto.ca/languagesurvey and is offered in several languages including English, Simplified Chinese, Spanish, Tamil, Tagalog, Italian, Portuguese, Farsi, Russian, Urdu, Korean and French. This feedback is being sought as a part of the City’s review of the Multilingual Services Policy to ensure it continues to meet the needs of Toronto’s diverse communities. Toronto’s Multilingual Services Policy includes criteria for translating information into other languages to make sure information reaches residents, keeps them informed and engaged, and that City resources for translation and interpretation are used effectively. The policy is available at http://bit.ly/2l1dt99. LEAF’s subsidized Backyard Tree Planting Program helps you get the right tree in the right place. 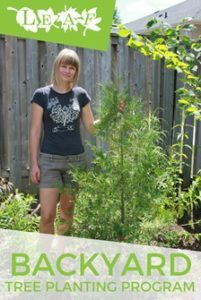 For approximately $150 to $220 per tree you will get a site consultation in your yard with an arborist, a five to eight foot tall tree (or two to four feet tall for evergreen trees) and full planting service. LEAF also has a Do-It-Yourself option, for those who like to get their hands dirty! For more information visit LEAF. 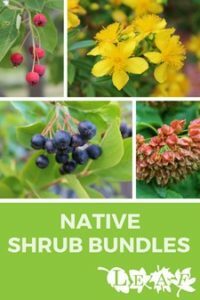 This spring, beautify your yard with a LEAF Native Shrub Bundle. Supplies are limited, and bundles are available on a first-come, first-served basis. To order visit LEAF. For event details, visit the LEAF website. 33 Acres Brewing Company, 376R Dufferin Street, will be holding a pre-hearing meeting to discuss their Committee of Adjustment application. The applicant is proposing to renovate the existing one-storey industrial building to include a craft brewery, retail store, restaurant, and associated outdoor patio. These uses are currently not permitted at 376R Dufferin Street. The meeting will be held on Wednesday, March 1st at 7pm, Meeting Room A, Parkdale Public Library – 1303 Queen Street W.
Details regarding the proposed renovation will be available at the Community Meeting. The Committee of Adjustment application is available on-line by searching the City of Toronto’s Committee of Adjustment – Application Information Centre. The Committee of Adjustment hearing date is set for March 29th. Councillor Gord Perks and City Planning staff will be in attendance. 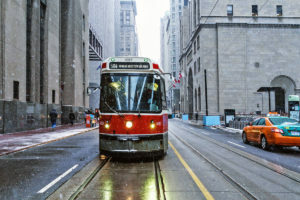 The City of Toronto invites you to take the inline survey for the King Street Pilot Study! 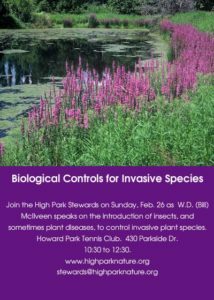 The High Park Stewards spend the majority of their time removing invasive species such as garlic mustard, hedge parsley, common buckthorn, and a host of others. Biological controls would make this task so much easier. What is possible now? What is likely in the future? Howard Park Tennis Club. 430 Parkside Dr. 10:30am to 12:30pm. See www.highparknature.org and the links in this invite for more details and photos. The rezoning application proposes to redevelop the site currently occupied by a two-storey bank building with a 7-storey office retail building that retains the original bank facade. The building has a proposed height of 26.1 metres (30.1 to the top of the mechanical penthouse). Information on the application is available on-line at: http://app.toronto.ca/DevelopmentApplications/associatedApplicationsList.do?action=init&folderRsn=4077923&isCofASearch=false, Supporting Documentation. City Planning will be holding the Community Meeting on Tuesday, March 21st at 7pm at St. Casimir’s Parish Hall at 156 Roncesvalles Ave. The rezoning application proposes to redevelop the site currently occupied by a Beer Store and parking lot with a 7-storey residential building containing 106 units. A total of 73 parking spaces will be provided in two levels at and above grade, including 16 visitor spaces, 108 bicycle spaces, and 22 short-term bicycle spaces. The building will have a height of 23.45 metres (28.9 to the top of the mechanical penthouse). Information on the application is available on-line at: http://app.toronto.ca/DevelopmentApplications/associatedApplicationsList.do?action=init&folderRsn=3982741&isCofASearch=false, Supporting Documentation. This report will recommend that City Council direct the City Solicitor to oppose the appeal of the 57 Brock Avenue Development application at the Ontario Municipal Board (OMB) hearing but to also work with the owner to enter into a settlement should the opportunity arise. I will be supporting the Direction Report at TEYCC. Community meetings have been held about this application. At both meetings, local residents shared concerns with the proposed development. No hearing date has yet been scheduled for the OMB. My office will communicate any further information as it becomes available. Due the development happening on the east side of the railways near Wallace Avenue, the Wallace Avenue Pedestrain Bridge will be temporarily closed while its replacement is under construction. Please note that alternative routes at Dupont St and Bloor St are available during this temporary closure.